The past couple of weeks have been pretty busy with work, school, mom duties, being a wife and so on. 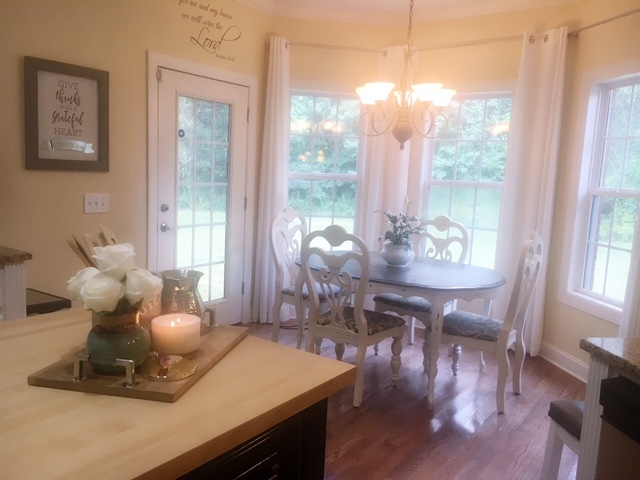 School is now back in session and as I started reading the kids' requirements, I started to feel overwhelmed thinking about everything that I had to do and events that were coming up. 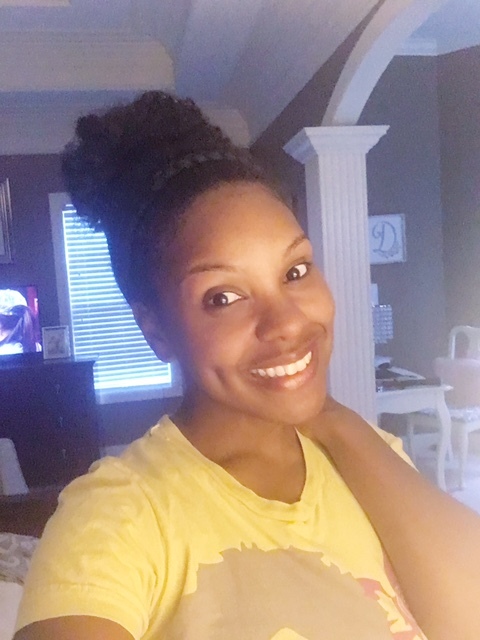 Usually, I try to remain calm and think of myself as super mom, but lets face it I'm human and I have my days where I get overwhelmed and afraid too. I want to encourage every mom that you are not alone and that we are in this together. As I started to feel myself get into a rut, I quickly reminded myself that God will guide and give me wisdom with any circumstance I may come across. Here are a few tips that will help you feel better and stress free!! 5. JUST SAY NO ( This one is a hard one for me. How can 2 letters be so difficult to say, but it is hard for me to say no sometimes. You can't do it all and that's okay. Believe it or not, people do understand. I hope these tips can help you not feel as overwhelmed and remember to take a break and breathe. All we can do is take one day at a time. Enjoy each day to the fullest and do your very best. 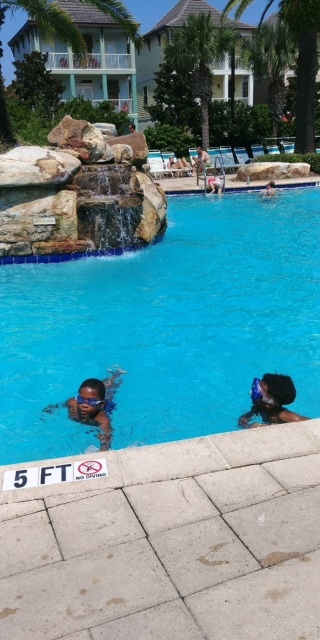 I am sitting here thinking about the great time I had with my family. Back in January, I decided that I wanted to plan my Mom a 60th birthday celebration in Destin, Florida. Everything turned out perfect! It was such a blessing to be able to bless my Mom with a relaxing stay at a beach house with all her family. We created wonderful memories and realized the importance of family. My Mom has taught me a lot, but most importantly she help me develop a relationship with the Lord. We have gone through a lot and the strength she has is amazing. I pray that I can be as strong as her and carry myself with so much grace as she did. Every person that meets her gets attached to her sweet spirit. She is definitely the epitome of a Proverbs 31 woman. I love her so much and so grateful and blessed that my siblings and I were able to celebrate her at the beach!!! "Children, obey your parents because you belong to the Lord,[a] for this is the right thing to do. 2 “Honor your father and mother.” This is the first commandment with a promise: 3 If you honor your father and mother, “things will go well for you, and you will have a long life on the earth." It's been awhile, but I have finally stumbled across a great way to restore moisture and remove those dead skin cells on the scalp! I was watching Naptural 85 YouTube channel and she did a tutorial on how to use aloe vera for your scalp. Once I saw that, I had to try it and my scalp felt amazing!! I regret not doing this a long time ago, but my scalp is going to love me now!! I know we focus on the ends of our hair a lot to retain length, but it's also important to focus on the scalp. The scalp is where everything starts, so we want to make sure we keep it clean and moisturized as well. Aloe vera contains proteolytic enzymes which repairs dead skin cells on the scalp. It leaves your hair so smooth and shiny. Aloe vera also promotes growth, prevents itching on the scalp, and reduces dandruff and of course conditions your hair. Aloe vera also has a chemical make up similar to that of keratin and it rejuvenates the hair with its own nutrients, giving it more elasticity and preventing breakage. I decided to do a prepoo treatment on my hair as well as my daughter's hair and our hair thanked us for it!! As soon as I applied the aloe vera to my scalp, you could tell immediately that it was doing it's job. I want to share you with you a step by step process on how to do a Aloe vera pre-poo treatment. First, cut 2 or 4 slices of aloe vera and then wrap the rest up and store in the fridge. It can last in the fridge for 30 days. Make sure you cut the sides off. Mix 1/4 cup of castor oil and olive oil in a bowl. Section hair into 4 to 6 sections, and apply the slice to the scalp. Make sure you rub it in and massage. Make sure the aloe vera touches each part in that section. Next, take the hair and apply the oil as well as a leave in and detangle the section. Once you're done, twist the section and start on the next section. If you notice the aloe vera is drying up, pierce with your finger and more gel will appear. Continue to massage your scalp with the aloe vera. 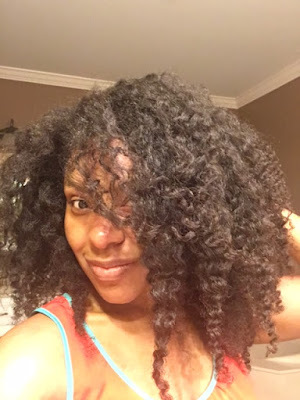 After your hair is all twisted up, you can place your bonnet on and wash your hair the next day or you can leave it in for about 30 minutes to an hour. I decided to leave it in over night, but for my daughter I left it in for about an hour before I washed her hair. 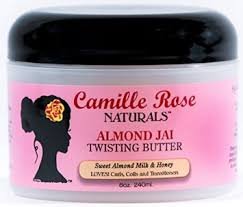 You will notice how shiny and moisturized your hair is. It feels great! First things first and that is to get an Aloe vera plant! I picked this up from Sprouts!! Cut maybe 2 or 3 slices and then wrap up what's left and store in the fridge. Here's the good stuff!!! I'm so ready for another mask! 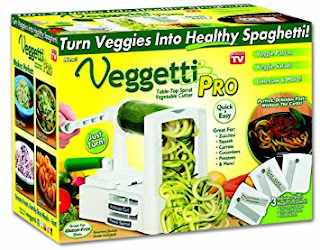 I purchased my Veggetti Pro from Amazon for 19.00, but you can find one a lot cheaper. I love this one! 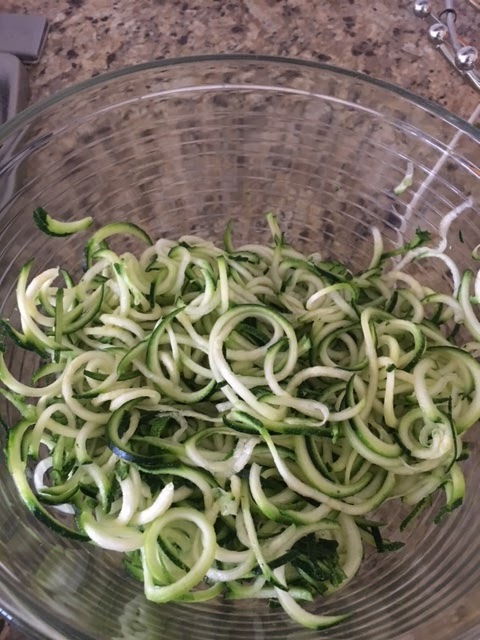 I am excited to share this yummy recipe with you using Zucchini noodles!! For a while, I have been wanting to try a gadget that would allow me to create veggie noodles instead of using pasta. I finally decided to purchase a gadget called the Veggie Pro! I absolutely love it and it's not a hassle at all! As I turned the knob, I had perfect spirals for my veggie noodles. It gives you the option to make your noodles thick or thin which I love! This recipe is so simple and delicious! This is the type of meal you use when you want to impress people with your cooking skills! LOL! I hope you enjoy! 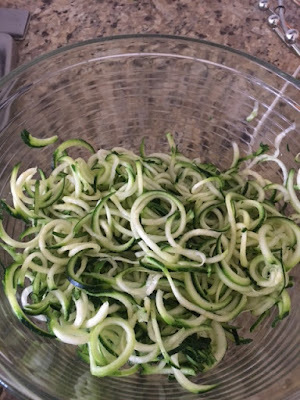 First things first and that is to spiral your zucchini and leave in a bowl. Add the butter and olive oil to the skillet. After that, mince the garlic while waiting for the butter to melt. Rinse the shrimp with cool water and allow the excess water to drain away. Add the shrimp and minced garlic to the skillet. Sauté the shrimp and garlic for 3-5 minutes, or just until the shrimp turns opaque and slightly pink (no longer grey and translucent). Remove the shrimp from the skillet and set it aside until later. 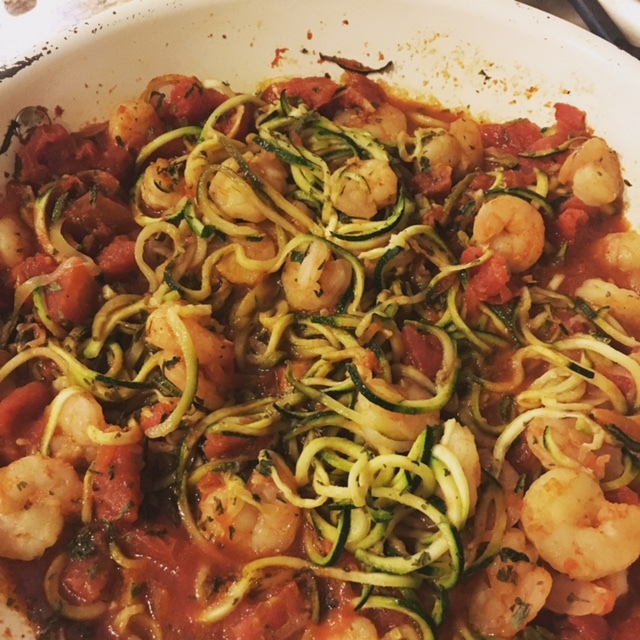 Add the can of tomatoes with juices and zucchini to the skillet, along with the crushed red pepper flakes, salt, and some freshly cracked pepper. Stir to combine and let the sauce simmer over medium heat for about five minutes. Toss to coat in the sauce. Add the cooked shrimp back to the skillet and toss to combine with the zucchini noodles. Taste and adjust the salt if needed. Roughly chop a handful of parsley leaves and sprinkle over top before serving.